There are many different variations of push-ups. You have the regular push-up, incline push-ups, decline push-ups, and even wall push-ups. You even have different variations on the push-ups! For the regular push-ups, you can do them on your knees or your feet. I recommend doing as many as possible – with proper form – on your feet and then switch to your knees to finish. 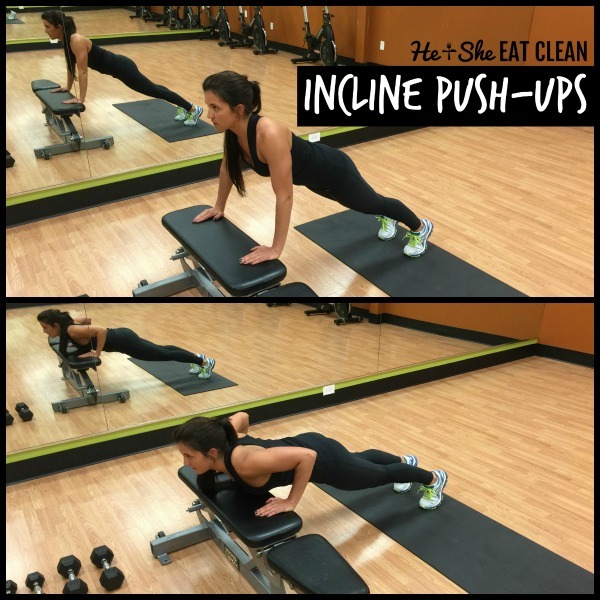 Here I wanted to explain how to do an incline push-ups which you will see in many of our workout plans. Now that you know how to do push-ups are you ready for a challenge?